A few years ago, Cobra’s drivers were arguably more famous for their crazy colour schemes than their generous tech. 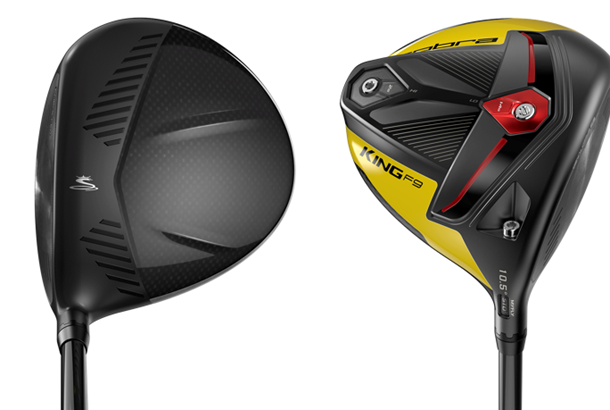 This year’s Cobra King F9 Speedback combines the best of both. Inspired by supercars and claiming the best aero package Cobra has ever made (dubbed “aeroficiency”) the Cobra F9 Speedback driver has already caught the eye of Rickie Fowler… and not just because it’s bright yellow. Cobra says the F9 Speedback is the first driver ever to deliver an aerodynamic head and and low centre of gravity. What does that mean? A faster clubhead, combined with less spin, which equals more distance. Cobra’s marketing chief Jose Miraflor told us: “We do a lot of research every year, with people who are buying products. "We asked: ‘What does it take for you to choose your next driver?’ Of course the No.1 thing was distance. If a new driver isn’t longer than your old one, it won’t get bought. There are three pieces to the distance formula – speed, low spin, high launch. According to Cobra, two of them have never been put in a driver at the same time. “There’s always been a conundrum about being able to produce an aerodynamic driver or a low CG driver,” adds Miraflor. “They’ve never been done together, and that’s what we’ve worked on for the last two years. Cobra’s 360 Aero Technology utilises lightweight polymer crown trips and titanium sole trips positioned relative to the direction of airflow around the F9 Speedback clubhead, further helping to reduce drag. Strategically placed “PWR Ridges” are designed to enhance aerodynamics and add rigidity to the carbon crown structure, creating more energy return and more power to the ball to maximise speed and distance. Fowler told Cobra it frames the ball better, while the engineering benefit is that it stiffens the carbon structure. It’s also another aero aid, like the bonnet of a sports car. As in previous Cobra clubs, everything in the Cobra F9 Speedback range for 2019 features Cobra Connect Powered by Arccos, the award-winning connected golf system that helps players of all skill levels make smarter, data-driven decisions. Electronically embedded sensors in the grip automatically record the distance and accuracy of every shot so golfers can track their improvements round-to-round. Miraflor says: “The yellow areas are the really aerodynamic bits of this driver. Our aerodynamicists taught us you can have a blunt face that caused high wake systems, where the air separates from the clubhead, or you can have a shape like an aeroplane wing that’s very aerodynamic. The yellow and black colour scheme in the Cobra King F9 Speedback driver will take centre stage, but there’s a second colour called avalanche too. It’s almost the colour of snow – not quite pure white. Miraflor says: “A low CG driver like our King LTD was very fast off the face, with low spin and high launch – bit it wasn’t the most aerodynamic because it had a blunt, tall face. In order to lower the centre of gravity in the F9, we created a multi-material structure down low that houses a 14g tungsten weight. Precision milling allows engineers to achieve more precise face thickness and tighter tolerances compared to the manual hand polishing method used on traditional drivers, resulting in improved bulge-and-roll curvatures and a face that is 3% thinner and 10% lighter. For the first time, with the precision of CNC milling, Cobra’s E9 Speed Tuned Technology optimises the bottom roll curvatures on the face of each F9 Speedback driver to tune launch and spin for different swing speeds and attack angles. "We knew it was good, from testing and internal player testing, but we also did some testing with everyday golfers, with their own driver versus an F9 with the same loft and shaft type,” says Miraflor. "We had 58 testers, average handicap 14, average age 52, and 88% of these golfers hit the F9 further, 30% by over 10 yards. The average was 7.8 yards longer than their gamer. How did they get it? An average of 1.9mph ball speed faster, they launched it higher and spun it less. 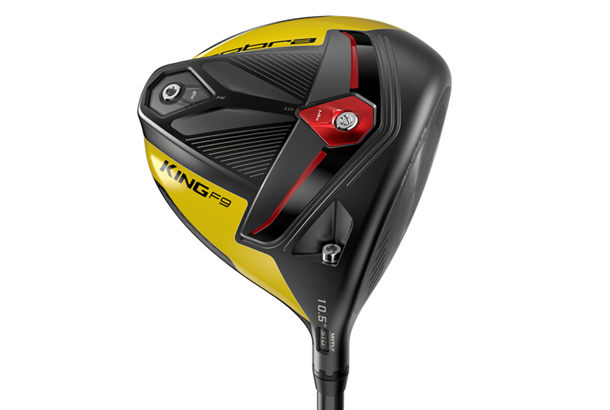 Compared to our own F8 driver, in our own testing, the F9 was almost nine yards longer." "We used a lot of things for inspiration with this club," said Miraflor. "We studied the fastest things on the planet – planes, race cars – and the latter especially. And the red reminds us of the brake calipers. “Rickie said it’s ‘business up top, party on the bottom’. He loved the look. I introduced it to him at the Players in May in five different colours, because we wanted him to have a say in the look. He’s really into his cars – he’s just bought a new Porsche GT2 RS – and I explained the rear ends of those cars all have diffuser systems to improve airflow, and their weight is down low to help them stick to the road. "Both things help them go faster, and he got it straight away. He actually asked for a plate for the back that says ‘Too Fast for You’ that people can see on TV!" MyFly8 lets you choose eight loft settings (and 3 draw) to fine-tune trajectory and launch conditions while Smart Pad ensures a square clubhead at address. Mid-launch/low spin: Project X HZRDUS Smoke 60 (6.5 – X-Stiff; 6.0 – Stiff); or the Fujikura Atmos Tour Spec Black 7 (X-Stiff, Stiff). Grip: Each driver comes equipped with a new Lamkin Crossline (58+) Connect.